When Oisin Casey landed his tenth point, a minute from the end of normal time, Clarecastle led this evening’s under 16 A hurling final by seven points. Seconds after this score ‘at least two minutes of additional time’ was signalled and Clarecastle followers were satisfied that the title was on the way to their club for the first time in sixteen years. Doora-Barefield still believed that they could get something from the final and a goal from their captain Adam Mungovan in the 60th minute gave them hope. As the game went into the second minute of the two indicated, Bruce Piggott pointed a 25m free. 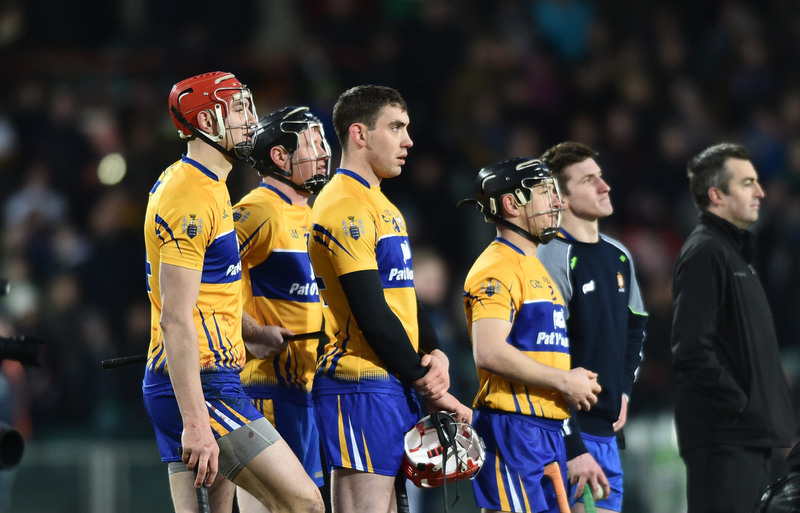 They won possession from the puckout and attacked again and Fionn O’Brien gave their followers plenty to cheer about when he blasted to the net for the leveller. There wasn’t time for anymore and mapgie supporters left Cusack Park somewhat shellshocked while Doora-Barefield followers were, understandably, delighted. The big attendance certainly got plenty to cheer about as the teams produced a most exciting contest. It started at a blistering pace with scores being exchanged twice in the opening four minutes at which time the score was 1-1 each. Goals in the seventh and eighth minutes saw Clarecastle open a seven point lead but Doora-Barefield hit back strongly scoring 0-6 to Clarecastle’s o-1 before the magpies finished the half with a goal to oead at the break, 4-4 to 1-8. Sub; Seanie Keane for Coughlan.